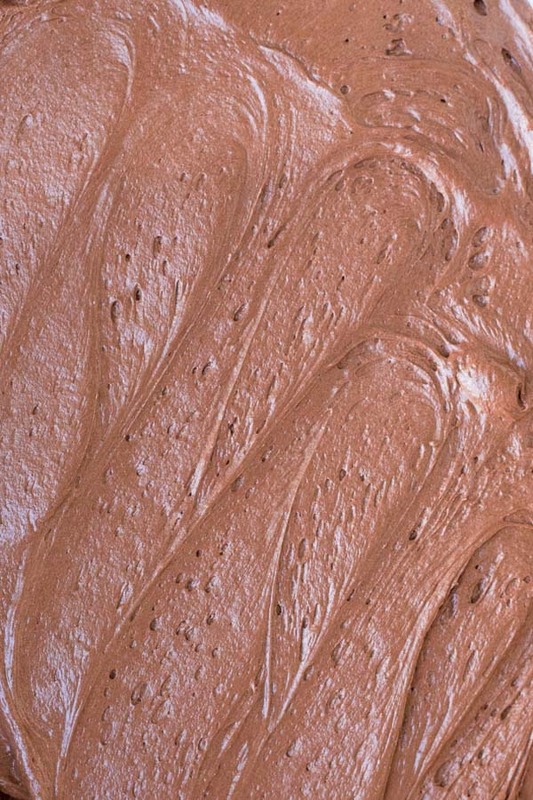 Looking for the perfect chocolate frosting for brownies? Then look no further! 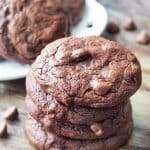 This brownie frosting is creamy, extra smooth, perfectly chocolatey and designed specifically for brownies. This incredible brownie frosting creates swirls of creamy, chocolate perfection on top of just about any brownie. 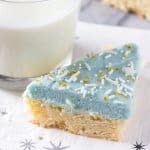 It’s an easy frosting recipe that’s made with simple, pantry ingredients. And while it has a delicious chocolate flavor – it’s not too rich either. So it won’t overpower your brownies. When it comes to brownies, there are 2 schools of people: people who love a gooey fudgy brownie that’s only just baked, and people that like a chewy brownie that’s a little more similar to cake. If you’re in the first group and like your brownies almost verging on brownie batter – I suggest serving them with a scoop of vanilla ice cream. 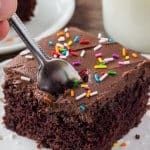 But if you like brownies that are chewy, moist, and resemble what the lunch lady served when you were a kid – then this brownie frosting is the perfect recipe for you. The “secret” or not so secret ingredient here is the honey. It makes the frosting smooth, glossy and gives it the perfect consistency. 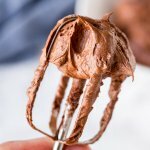 You’ll notice that I actually used milk in this frosting recipe. 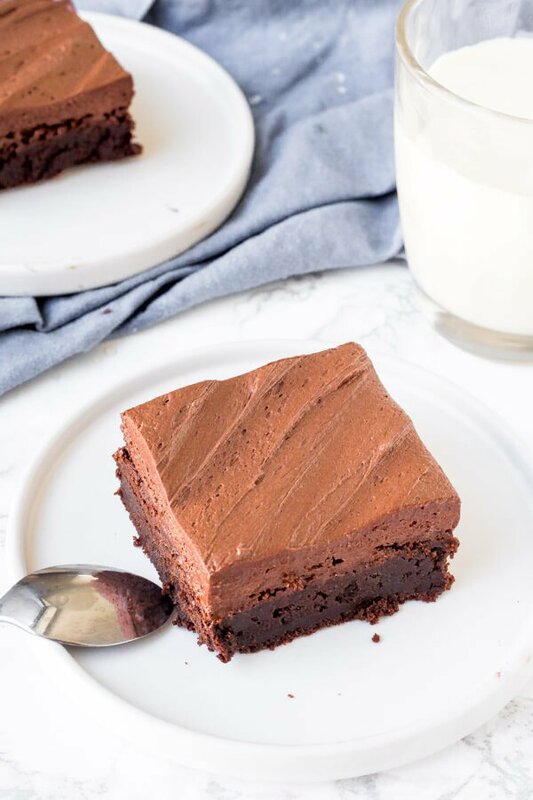 Typically I use cream in my frostings, but because I think brownie frosting should be a little thinner and smoother – I actually recommend milk for this recipe. It also makes the frosting have those beautiful swirls. 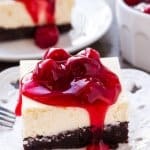 What I also love about this recipe is that there’s no stovetop involved – no melting or boiling – just using your electric mixer to beat the ingredients together. I typically frost brownies that have been completely cooled so that you get a nice, thick layer of frosting. If you frost brownies when they are still a little warm (but not straight out of the oven) the frosting will kind of melt into the brownies. Also delicious, but a little messier and your frosting won’t be quite as thick. Do not frost brownies straight out of the oven, however – the frosting will totally melt. 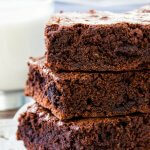 What about frosting for an 8×8 or 9×9 inch brownie pan? Simply half the recipe by dividing all of the ingredients by 2. In a large bowl using an electric mixer, beat the butter until soft. Mix in the honey, vanilla extract and salt. With the mixer on low speed, mix in the cocoa powder. 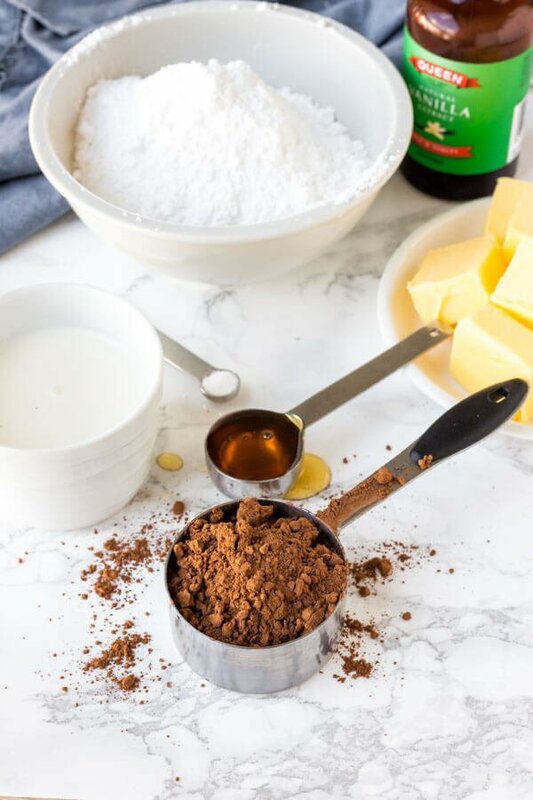 Mix in the powdered sugar a little at a time, alternating with a tablespoon of milk until the desired sweetness and consistency is reached. *Frosted brownies can be stored in an airtight container at room temperature for 2 days, or in the fridge for up to 5 days. **Frosting can be stored in an airtight container and frozen for up to 2 months. 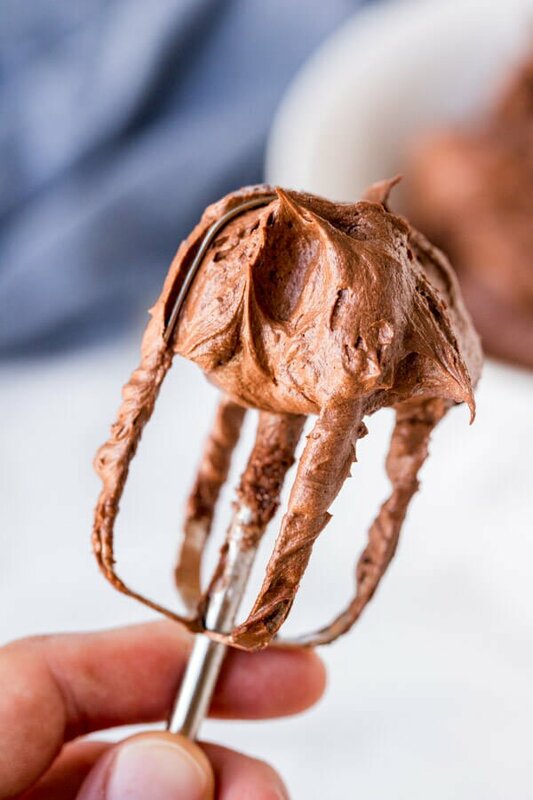 Thaw in the fridge, then beat with an electric mixer for a few minutes to soften the frosting.